Revit Add-Ons: BIM Project Suite 2015 from CTC's Revit Express Tools Contains 2 New FREE Tools! BIM Project Suite 2015 from CTC's Revit Express Tools Contains 2 New FREE Tools! New! 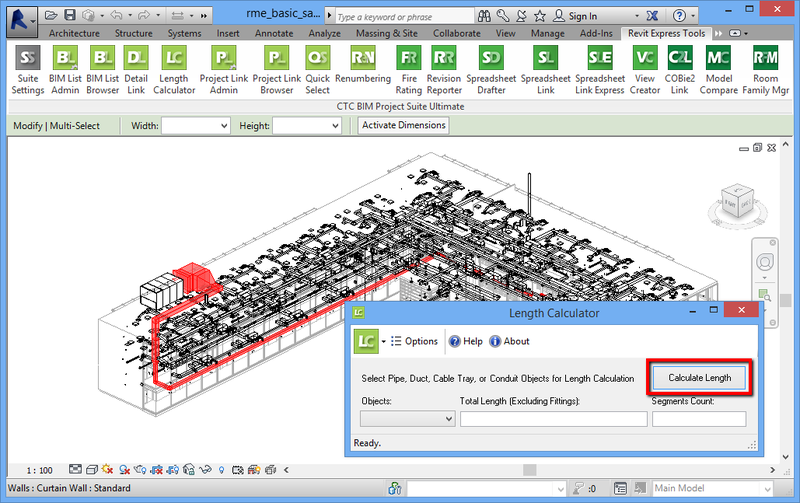 Length Calculator A Revit add-in designed to assist during the design phase of duct, pipe, conduit or cable tray layout by quickly calculating the length of a run. New! Quick Select enables the selection of specific elements by filtering specific categories or parameter values.